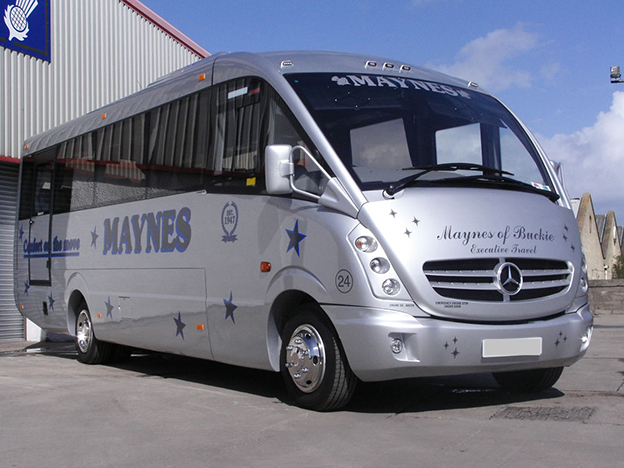 Maynes Coaches are a family run award winning coach operator. 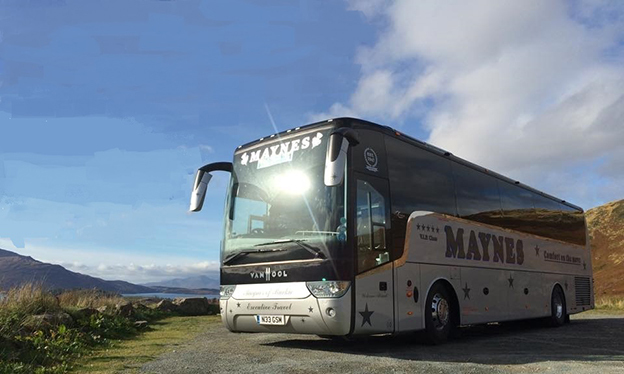 We can provide first class service in quality coaches for your group travel on Orkney. 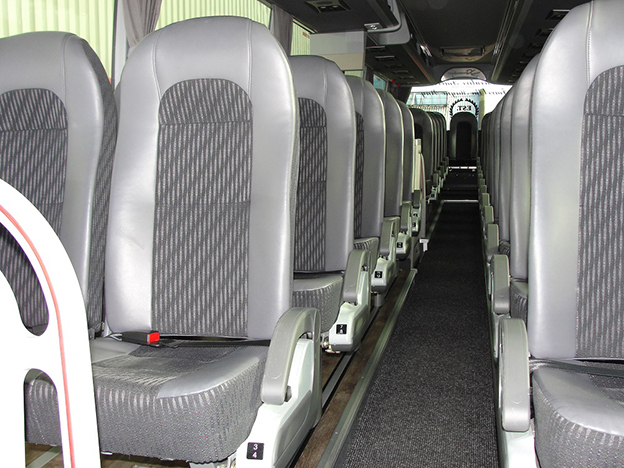 Contact us today for a no obligation quotation. 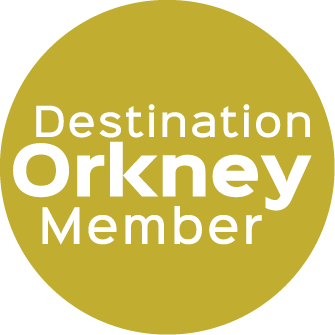 For shore excursions and group tours, our highly trained professional drivers will ensure that you receive your "Orkney Experience" to the same exceptional standard as all our customers have come to expect. For weddings, we understand your wedding day is one of the most important and memorable days in your life. 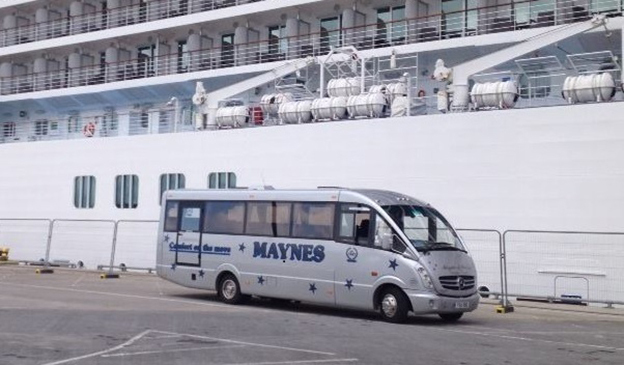 Friends and family wish to share your special day and providing safe and comfortable transfers for them is a priority. 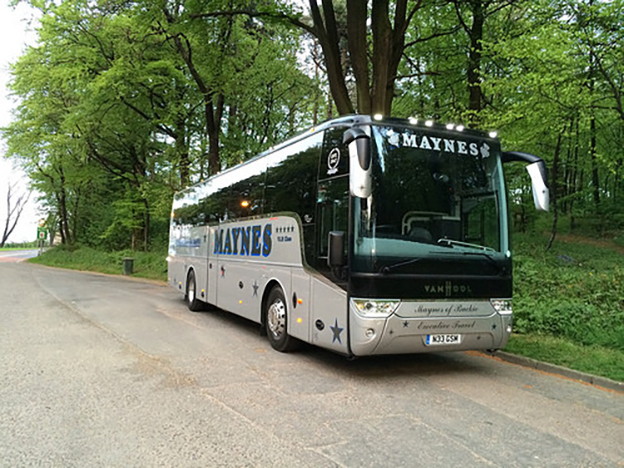 At Maynes Coaches we take great pride in making your guests reach their destination in style. 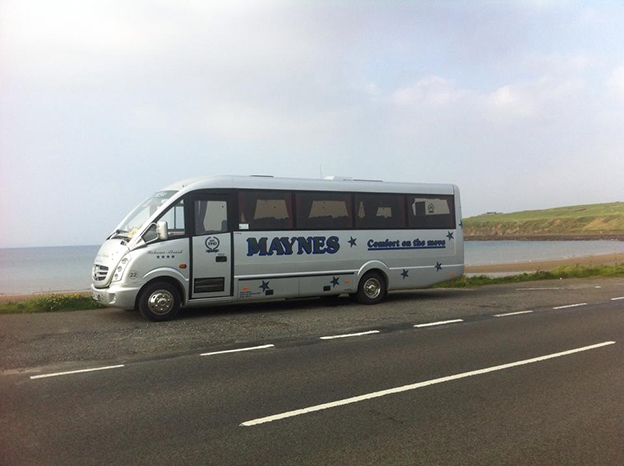 We cater for all transportation to and from the church and wedding venues throughout Orkney. Successfully trading since 1947 Management and staff are fully committed to a programme of training and quality accreditation. 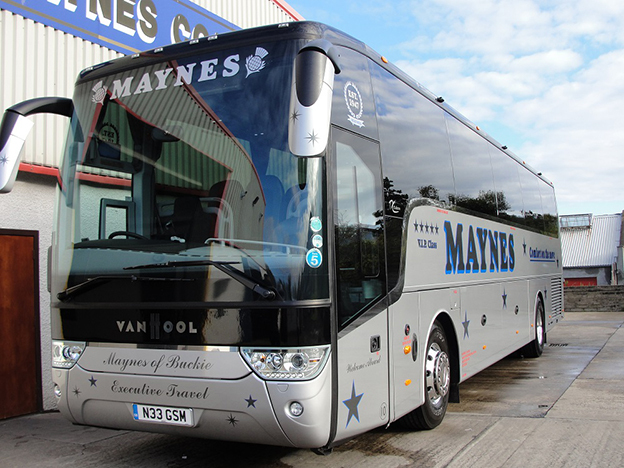 At present Maynes are also proud to be the only Scottish member of the Guild of British Coach Operators, and have won several awards as "Coach Operator of the Year" to underline our commitment to excellence.